Not too long ago, my dad began taking art lessons once a week…specifically working with coloured pencils and then he moved on to watercolours. When our daughter saw this, she was very excited to ask her Grandpa (when she was very little she used to call him “Boppa”) if he would help her design the background for their wedding invitations. My dad was quite nervous to try to do something so special for her that would go out to all our friends and family. So he sat down with his art teacher and explained what his granddaughter had asked him to do. 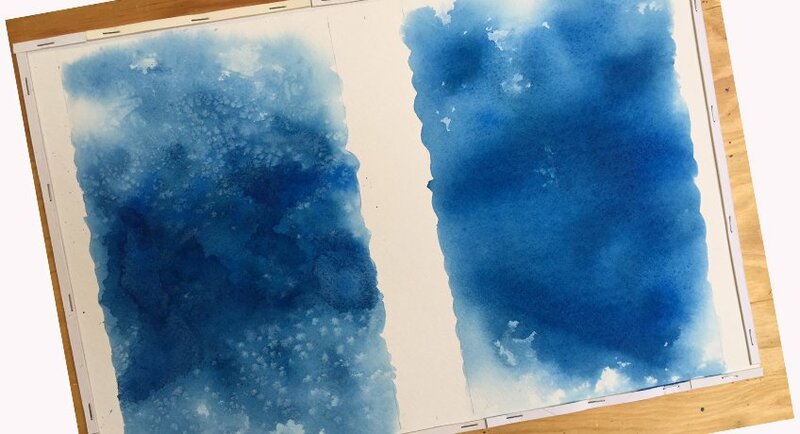 The art teacher showed him (his example is on the left) and my dad set to work to learn how to make the specific background our daughter was looking for (as seen on the right). She was thrilled with the results. I scanned the image at a high resolution and set to work on their invitation. I lightened the background slightly to soften the blue that would be a closer match to the colours used throughout their wedding. 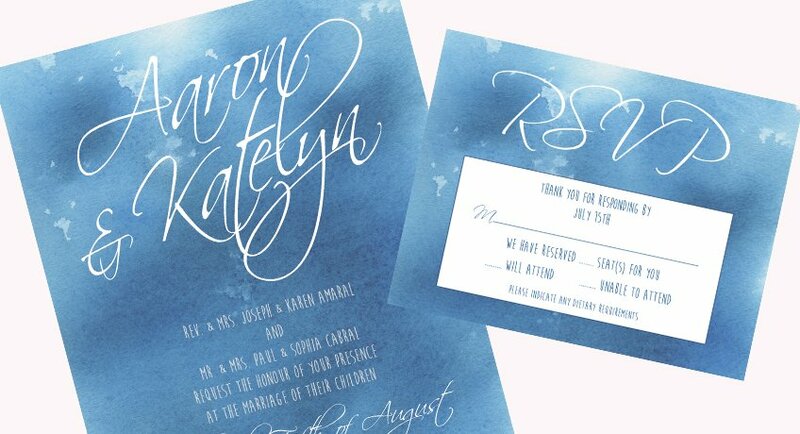 Then, using fonts she really liked (Scriptina and Moon Flower Bold), we worked on the placement and wording of their invitation and RSVP card. She was happy…therefore, so was mom! 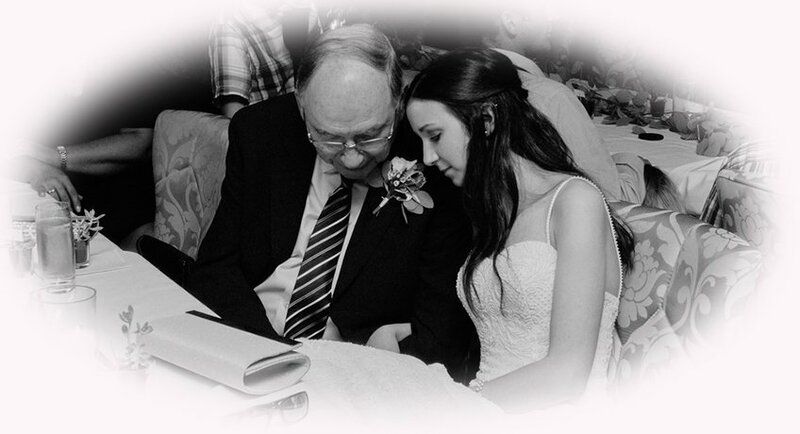 🙂 Here’s a sweet shot of Katelyn with her Grandpa captured by our friend and wedding photographer, Emma-Lee Hacker (www.emartandphotography.com). To see more of their wedding day photos, click HERE to visit Emma-Lee’s blog. And on a side note, my cousin, who got married two months after Katelyn and Aaron, liked the invitations so much, she asked me to design her invitation too! Love your writing ability. Enjoying your sharing.